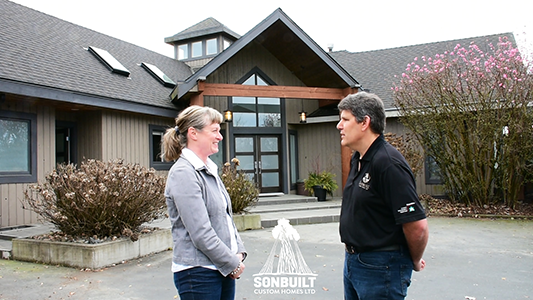 New Buildings Archives - Sonbuilt Custom Homes Ltd.
Our foundation finishing details are an important part of keeping our homes dry and comfortable. We use several different waterproof products to transition from our ICF (insulated concrete form) foundations to our exterior cladding. Using these products ensure our foundations stay protected from water and dampness. The first product we use is called Colphene, by Soprema. 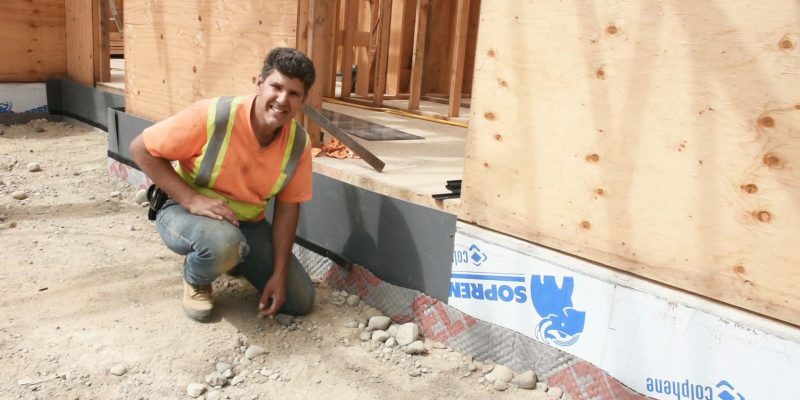 Colphene is specifically designed to waterproof an ICF foundation. We also use Delta Drain. Delta Drain is an effective method to control the flow of damaging soil moisture and hydrostatic pressure through cracks and gaps in below grade structures. It is an essential element of a complete waterproofing system. The final product we use is TuffX. We use TuffX as a transition strip between the ground level and the exterior cladding. TuffX is extremely durable and tough. ICF foundations are known for reducing cold spots and drafts in basements. By waterproofing our foundations we limit the potential for moisture to seep in through the foundation and fuel mold and mildew growth within interior finished basement walls. Move to the Fraser Valley! Considering a move to the Fraser Valley in British Columbia? The Fraser Valley is becoming a popular home for many families who wish to live outside of the big city, yet remain close to many shopping options, entertainment venues, boutique-style wineries, locally grown produce, and recreational experiences. 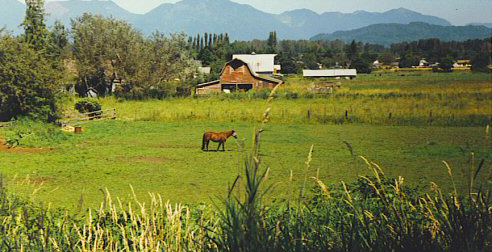 There is a growing interest among many families to relocate to the Fraser Valley. Improved transportation from Vancouver to the Valley has significantly changed the commute times. As well, housing is generally more affordable in the Fraser Valley than in Vancouver. Are you considering a new home in the Fraser Valley? Be sure to visit our website and contact us today. We would love to chat!